Kin Blue Beach Bash is open to everyone. Kin Blue Beach on the coast of Kin Town is a training and recreation area of the U.S. Marine Corps, but on the last Sunday of this month the beach will open its gates wide to everyone to enjoy its beautiful white sands, good party food, gold drinks and plenty of water related activities. 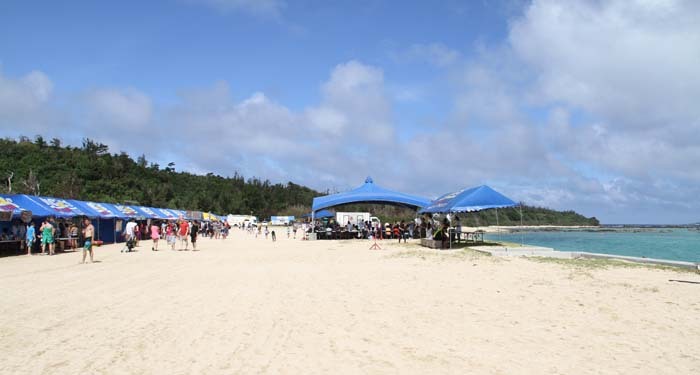 Food and game booths, and plenty of water activities wait for visitors to Kin Blue Beach. 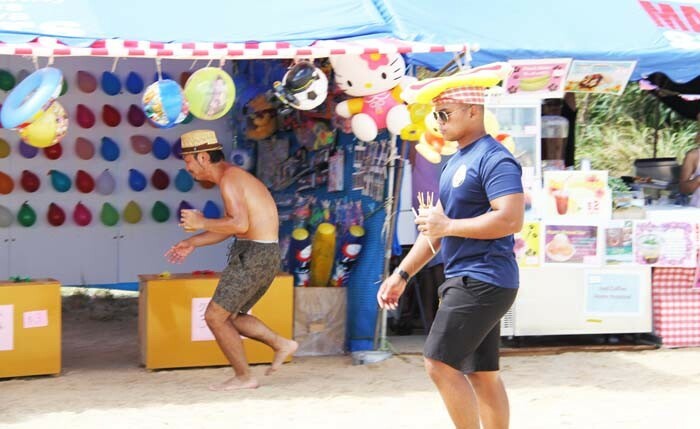 MCCS, the Marine Corps Community Services is the organizer of the Kin Blue Beach Bash that takes place from 11:00 to 20:00 on Sunday, July 31. Everyone is invited to spend time with family and friends on the beautiful beach and enjoy BIG Mable rides, wakeboarding, kayaking, Frisbee cup catch and kan jam games, snorkeling activities, swimming, food and game booths, Fun Land and free live entertainment by the Article 8 band playing a variety of music throughout the day. Half a mile of white sandy beach and blue waters of Kin Bay make the setting. An array of food vendors will be on-site, including Hickory House All-American BBQ, Bulldogs Bites, and Kanpai Lounge for guests 20 and older. Due to limited parking at Kin Blue Beach, DoD personnel must park at designated areas on Camp Hansen. A free air-conditioned shuttle bus service will be provided between parking areas and the event site. Japanese guests attending the event are requested to park at USMC Fire Training Facility on Highway 104. 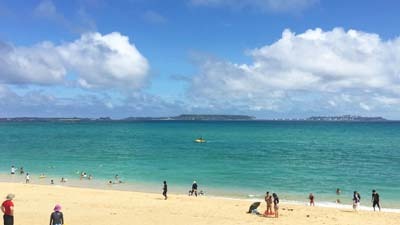 A free shuttle bus connects the parking and Kin Blue Beach. Admission to the event is free and open to all SOFA status and Japanese nationals. No one will be admitted with pets, outside alcohol, bottles, or coolers. As always, MCCS encourages everyone to drink responsibly; don’t drink and drive. For more information, call 098-970-5828. 30-second video clips of the beach bash are at https://youtu.be/yV1XC8gmMRE (English) and https://youtu.be/iMvF1uMXecc (Japanese).